Coast of Maine has been throwing nutrient-rich fish and berry compost into Master Nursery's patented bumper crop mix since 2007, but until recently the cost kept the east-coast soil additive from public availability in the Midwest. Market conditions have improved, and so for the first time in five years Whispering Hills is selling bumper crop in increments of one and two cubic yards to give northern Illinois plants a little boost to their bloom. 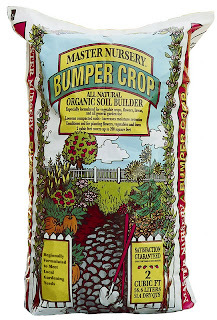 Bumper crop, which in addition to the brand name is an agricultural term referring to an unusually high yield, is a pH-balanced, organic soil amendment that includes bat guano, forest humus, chicken manure, sea kelp and worm castings. 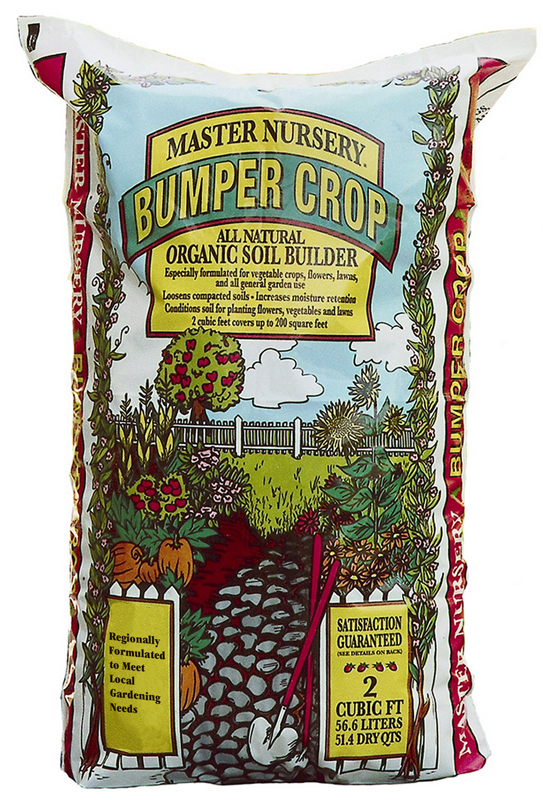 It is best used when planting, but can be applied after as a mulch. See video below.